Pecca Group Berhad, an automotive leather upholstery supplier is scheduled to be listed in Main Market of Bursa Malaysia on the 19th April 2016. The Initial Public Offering (IPO) consists of 47.8 million new ordinary shares and offer for sale of 43.3 millions shares at an IPO price of RM1.42 per share at RM0.50 par value. 72.33 million shares will be for private placement & selected investors, 9.4 million shares to the Malaysian public and the remaining 9.4 million shares made available for eligible directors, employees and business associates of Pecca Group.. The IPO will raise about RM67.87 million in proceeds. Out of this, RM26.397 million will be use for working capital, RM17.1 million for repayment of bank borrowing, RM7.55 million for purchasing of new machinery, RM5 million for addition production area, RM3.75 million for opening retail outlet, RM1.5 million for establishing the firm’s presence in Thailand, RM1 million for branching into the leather aviation services segment & the remaining RM5 million is for listing expenses. Pecca’s products are distributed via three main market segments, namely OEM, pre-delivery inspection (PDI) and replacement equipment manufacturer (REM). OEM products are leather seat covers embedded as part of the standard car accessories for selected variants of car models, while PDI products are installed at vehicle distribution centres to enhance the interior and value of a car. REM products, on the other hand, are supplied as aftermarket accessories at the retail level. The current proprietary products are SmartFit and QuickFit car covers. Meanwhile, Pecca is also diversifying into the aviation sector, and is aiming to secure refurbishment jobs for aircraft, be it private or commercial. 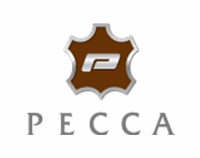 More information regarding the company can be found in Pecca Group webpage. For the time being, Pecca Group intends to distribute 40 percent of its profit after tax as dividend. Base on 2013 figures, this translate to dividend yield of 2.68 percent or 3.8 sen per share. The table below is the financial summary of Pecca Group. AmInvestment Bank is the principal adviser, joint underwriter and joint placement agent ahile Hong Leong Investment Bank is the joint underwriter and joint placement agent of the IPO. On the Moratorium on shares, as per Securities Guidelines, the promoters of Pecca Group IPO will not be able to sell, transfer or assign their entire shareholdings for six months from the date of listing. For those who are interested in Pecca Group IPO, you may subscribe at ATM machines or via Internet Banking. The retail subscription period is opened until 5th April 2016 at 5pm. Tentative balloting date is on 7th April while the allotment date is on 18th April 2016. Pecca Group stock name in Bursa Malaysia is “PECCA”. View Pecca Group prospectus in Bursa Malaysia webpage. What do you think about Pecca Group IPO? Are you going to subscribe? I think paying loan is good because the company will have lower gearing. This will lower the operational cost as the company no longer have to pay interest to service the loan.